The Washington Post is reporting that sovereign wealth funds are becoming some of the largest commodity speculators. 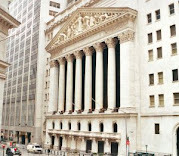 While the CFTC recently told Congress that its internal monitoring did not show influence by SWFs, it is believed by some that the CFTC may not be detecting their influence since the SWFs are working through swap dealers, which are often unregulated and operate through investment banks such as Goldman Sachs, Morgan Stanley, and Lehman Brothers. Officials have requested additional data from swap dealers, with these finding expected in September. It is believed that many of the foreign funds are coming from countries less familiar to SWF investing, such as Norway, Singapore, Kuwait, Australia, Russia, Libya, and even Iran. Estimates believe such funds represented 12 percent or more of investment bank commodity activity. The collective value of such funds is estimated at more than $2 trillion and is expected to increase 5-fold by 2012.